The Question Bank provides all the knowledge required for the Indirect Tax unit. 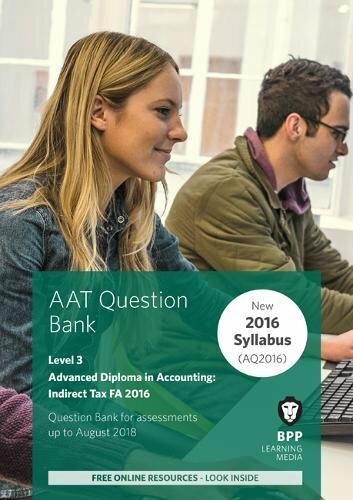 Question Banks allow students to test knowledge by putting theory into practice and refine exam technique. Features include: assessment standard practice questions and answers, guidance of revision technique, hints and tips. Our materials and online equivalents will help ensure you are ready for your assessments and prepared for your career in accounting.